PAIN OF BEING A SPANISH GREYHOUND! This letter is written from the heart by Charl del Rio a Galgo advocate. 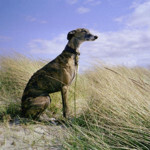 It can also be found on her blog which is dedicated to the Galgos. This is how Beryl’s book ends and it is truly heartbreaking. Señor galguero, I sat waiting and waiting today as time passed and my hunger grew. You never came, even though we who are here fear your footsteps. You may just bring us those crumbs of bread which we all have to fight for, even though we wish there was enough for us all. It’s cold in here tonight and the floor is damp, I cannot sit and I cannot lie down but for you”my master” I will wait in the cold and feel the hunger. When I saw you last you came and took my mother, I still await her return but she just has not come back. I don’t understand Señor Galguero, for I am a good Galgo and I try my hardest. Can you bring my Mother back for I miss her terribly, and amongst the other dogs we are all chained up and behind bars? Can you bring her back Señor galguero for I miss her, I will do all I can for you in return? The morning follows and its colder than cold, my body is trembling and am so very hungry. My bones hurt when I try to sit but for you Señor Galguero I will not complain. As dawn arrives I hear what are familiar voices and the door screeches open, I think we are going to play today. I don’t understand why you are so very angry with us all and your boot has more than once thrown me acros the floor, as now I see you angry with the pretty white galga in the corner, I didnt see her do anything wrong but while she feels the pain, today it is not my turn. The door opens and we are all told to get into the box with wheels. The mud is wet and we scramble into the tiny trailer. Señor Galguero did you forget a rug to sit on? For you Señor I will sit with the rest – this way we are warmer as we are crampt together. We arrive at the fields and its play time, we run and chase and are ordered to catch the running hare that crosses the field. The pretty white galga who felt the boot is struggling to win, for she is lame and bleeding. Señor galguero I hear you all laughing and cheering, and I dont understand it? I feel cold today, and so very very hungry. We move across the fields for what seems like forever, the white pretty Galga could not keep up, she was left behind to find her way. They didnt wait for you “ retty white Galga”, though I tried, but Señor Galguero hit me with a stick and I am shivering so I must run faster and faster, I am sorry pretty white Galga. At the end of the longest day I am so hungry I feel so empty and raw, I am so tired and weak, did I not run fast enough master, for I tried all I could? We return in the box minus the white galga, and thrown into what is our hole with chains and irons.. A stick of bread all green and blue is thrown at us, but the biggest and faster ones reach it first. For me, my hunger reigns on. Señor galguero as you laugh with the men – did you forget my share? I did good today for I didnt get left behind like the pretty white galga, I did good didnt I Señor galguero? I didnt catch your lunch but I ran as fast as my legs would carry me, all for you my master. The night is colder than ever and the floor outside is covered with crunchy white clouds, it’s all frozen and Ive not lived long enough to know what that is, I am sure my Mother would have explained. Where did she go, she never came back? I hear the footsteps yet again and I crouch in fear yet I hope there is food for my empty stomach. Today its my turn, alone, Señor galguero grabs my collar pulls me and gives me a beating for I have not been as good a galgo as I thought. I limp to the cold crunchy white grass and we move along into the woods. I think this is a special day today as we are alone, and I hope I can catch his lunch for him today if my weakness lets me. We reach a hidden bearing of trees, and I smell a smell I don’t recognize, but there is a familiarity as I see a body there on the tree, what is she doing Señor galguero like that? I am so cold and hungry I dont know why we are here, it smells not nice. I try and try and try but I cannot reach the gound, the pain is intense around my neck now and I cannot breathe, cutting m skin he blood runs warm down my neck chocking me in my mouth. I was a good Galgo I tried my best, I just didnt keep up with the rest. I am scrambling and my back paws are weak for they are what is holding me up. I have been here hours now, and I am giving up, Señor Galguero I think I am giving my life for you. I close my eyes, and yet in the distance I see the most beautiful figure, so sleek and bright there is a white glow around her, she looks in the distance like the other on the tree..closer and closer she comes for me, she came back after all this time, my mother my beautiful Mother has come for me. It’s alright now she tells me, Señor galguero has gone and we head on now to “Rainbow Bridge” where no more Galgos suffer, we are all happy and run free. Come and see! I close my eyes as the sun sets, I fought all day to stay with my master and its taken all this time. I’m free now, I feel no pain and my Mother says we will look down now and help the good people try to save more galgos who need rescuing. we will be like Guardian angels from above. Goodbye Señor Galguero. This letter is written in dedication to all those galgos who are suffering like this, for now the end of the hunt season has finished the slaughters begin. It feels at times like there is no way forward, as I cry tears, they are of fight and desire and will to impact the plight of the Galgos. I cannot do this alone. So I constantly look for publicity, TV breaks, daytime shows, Radios, someone famous to back this cause. Above all, I have promised the galgos, every single day of my life I will work to protect them. In dedication to the serene Galgo, the associations who work 365 days a year and no fame nor thanks for what they do. This story is multiplied by the tens of thousands of Galgos right now as you read this, for the end of the hunting season is here, and the slaughters and abandonment begins. Last year’s rescues alone reached a massive 50.000 galgos abandoned, those rescued. Numbers unknown are the stories like this one, or thrown in wells and the cruelty continues. While hunting hares with Galgos continues so will the slaughters and the number increase. New Co-hosts are needed for the group! 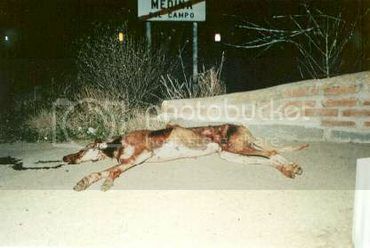 *Take Actions* Important petitions Against Galgo Abuse!! !